2016 has been a pretty good year for horror movies so far, but 2017 has something in store that horror lovers have been waiting on for a very long time. After years of uncertainty, production is currently underway on a new, big screen adaptation of Stephen King's novel IT. We don't know a whole lot about the movie as of right now, but director Andy Muschietti has been very good about sharing behind the scenes teases, and this weekend he did just that. The Mama director took to his personal Instagram account to post a couple of new photos, teasing some huge things to come in the IT adaptation. First up, he posted a missing child flyer from the Derry Police Department, Derry being the town that IT takes place in. 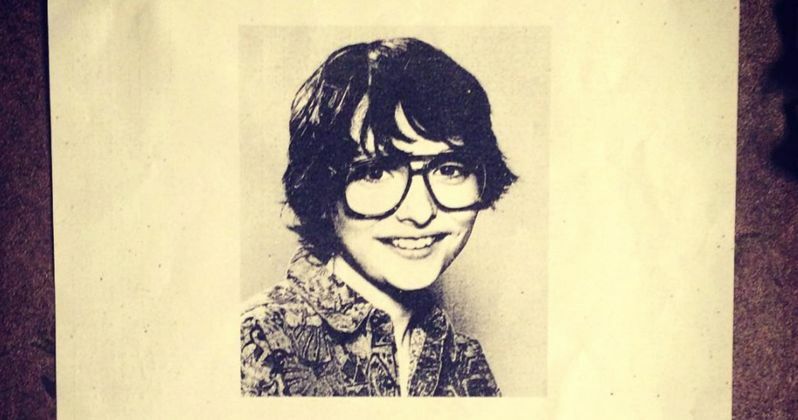 The flyer features a look at Stranger Things star Finn Wolfhard as Richie Tozier, who is apparently nowhere to be found at some point in the movie, which as we know from horror movies, is probably bad news. There are a couple of phone numbers on the bottom of the flyer, but don't bother trying to call them, as they are numbers that "cannot be completed as dialed." The second photo that Muschietti posted was definitely a bit more subtle, but fans of the source material will recognize it and no doubt be quite thrilled. The photo features a rustic looking gate to a home with an overgrown yard. The gate prominently features the number 29, which is very significant. This gate appears to be the entrance to 29 Neibolt Street, the home of Pennywise in the novel. Again, it is definitely subtle, but for those who have been waiting a long time for this movie to come to fruition, this is a signal that IT is very much a real thing. For those who may be less familiar with the source material, here is the synopsis for the novel from Amazon. "Welcome to Derry, Maine. It's a small city, a place as hauntingly familiar as your own hometown. Only in Derry the haunting is real. They were seven teenagers when they first stumbled upon the horror. Now they are grown-up men and women who have gone out into the big world to gain success and happiness. But the promise they made twenty-eight years ago calls them reunite in the same place where, as teenagers, they battled an evil creature that preyed on the city's children. Now, children are being murdered again and their repressed memories of that terrifying summer return as they prepare to once again battle the monster lurking in Derry's sewers." Stephen King's novel was previously adapted into a 1990 TV miniseries of the same name, where Tim Curry played Pennywise. This new IT adaptation will be split into two movies, just as the miniseries was split into two parts, with the first centering on a group of children known as The Losers Club, who must fight off this evil spirit known as IT. The second movie will bring these characters back together as adults, as they must stop IT once and for all. We don't much about the specifics of this particular take, but it has been stated that it will be a "fresh" take on the material. Bill Skarsgard leads the cast as Pennywise the clown, which we recently got our first look at, and fans were very enthusiastic about it. The cast also includes Jaden Lieberher, Finn Wolfhard, Jack Dylan Grazer, Wyatt Oleff, Chosen Jacobs and Jeremy Ray Taylor as members of the Losers Club, with Owen Teague playing Billy, a psychotic bully who torments this group. New Line has set a September 8, 2017 release date for IT, which currently doesn't have any direct competition, but that will surely change. It is perhaps a bit surprising that New Line didn't place it a bit closer to a Halloween release, but they could adjust the date later on. Be sure to check out the new photos for yourself below.